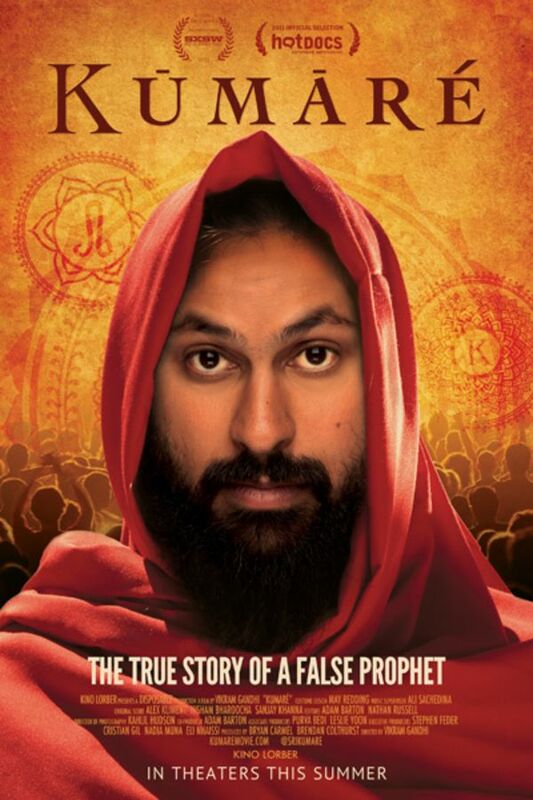 (Kumaré) A provocative social experiment-turned-documentary, KUMARE follows American filmmaker Vikram Gandhi as he transforms himself into a wise Indian guru, hoping to prove the absurdity of blind faith. Instead, he finds himself forging profound connections with people from all walks of life -- and wondering if and when to reveal his true self. Vikram Gandhi's quest to con people into believing he's an authentic spiritual guru demonstrates how people can be manipulated by religion. Awesome documentary! I was a little scared about the reveal but happy that his followers embraced him. Interesting and thought-provoking, and a very well put together documentary! When I first began watching I thought that people would be duped without learning to care for themselves, or to just believe in a fake religion. But Vikram rarely lied about himself, and his disciples did change for the better at the end. It was very heartfelt and inspiring. Kudos! Fantastic, inspirational, heart-felt from beginning to end.